“It does appear that 7 October will be the day that God has spoken of: in which, the world will pass away,” McCann told The Guardian in a recent interview. “It’ll be gone forever. Annihilated,” he said. However, the founder of the fringe group did allow for some wiggle room. “There’s a strong likelihood that this will happen,” McCann said. “Which means there’s an unlikely possibility that it will not. However, here we are today. Thursday. October 8, 2015. The world hasn’t ended. And McCann and other prognosticators have once again proven to be false prophets. End of the world predictions are as old as the Bible. Paul’s first letter to the Thessalonians was misunderstood by some Christians who incorrectly taught the world was soon ending. 2 Thessalonians was written to correct that error and warn them against the deception of false teachers. Throughout the centuries there have been numerous end of the world predictions. Pope Innocent III predicated the world would end in 1284, 666 years after the rise of Islam. A German Anabaptist, Hans Hutt, wrote that May 27, 1528, would mark the world’s end. Pierre Jurieu, a French Protestant leader, said Judgment Day would occur sometime in 1689. John Wesley, the founder of the Methodist Church, believed Christ would come in 1836. The founder of the Jehovah’s Witnesses, Charles Taze Russell, claimed the world would end in October of 1914. Herbert W. Armstrong, founder of the Worldwide Church of God, said the End would occur in 1943, following his failed prophesy of 1936. Jim Jones, known for the mass-murder suicide in Jonestown, Guyana, and founder of the People’s Temple, said that a nuclear holocaust would take place in 1967, annihilating the world. The year 1975 was among many of the end of the world predictions by Jehovah’s Witnesses. 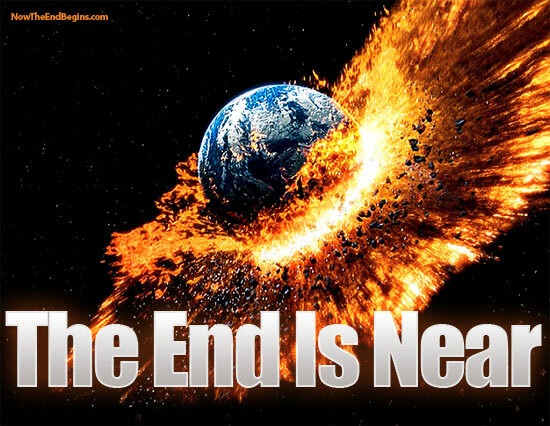 Many religious leaders, including Jerry Falwell, Tim LaHaye, Jerry Jenkins, Ed Dobson, Sun Myung Moon, and self-proclaimed Psychic Ruth Montgomery claimed the world would end at the turn of the Millennium in 2000. Jesus warned against false prophets that would seek to deceive Believers (Matt 24:24). The apostle John wrote, “Beloved, do not believe every spirit, but test the spirits to see whether they are from God, for many false prophets have gone out into the world” ( 1 John 4:1). So, when will the end of the world occur? Listen to the words of Jesus. “But concerning that day and hour no one knows, not even the angels of heaven, nor the Son, but the Father only” (Matt 24:36). Christ will come. The world will end. Judgment will occur. We just don’t know when. In meantime be watchful. Be faithful. Be ready.